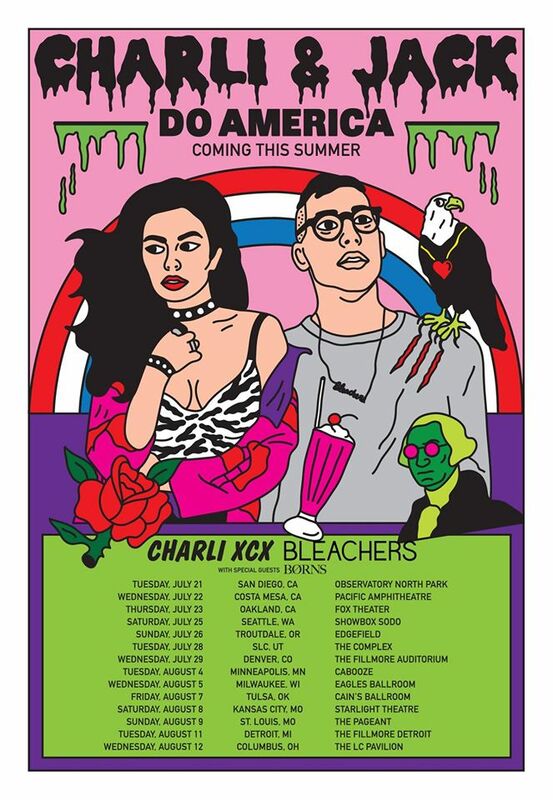 Charli XCX’s “Charli & Jack Do America” tour with Bleachers kicked off at the Observatory North Park in San Diego. Although it was the big opening show, security at the venue weren’t too worried about concert goers causing problems. “I’m not going to pat you down man,” a guard told someone entering the Observatory. “This show is just parents and their kids. But tomorrow, I’d have to pat you down.” He was of course referring to the Between the Buried and Me show happening the next night, July 22nd. It’s true, the Charli XCX show wasn’t that rough but it was a mix of disappointment and ecstasy. This depended if you were a parent that got dragged to show or a teenager that dragged their parent to the show. Or an adult there voluntarily. Most of the teens and adults there voluntarily were ecstatic with Charli. When the curtain dropped featuring a cartoon pink hand with black acrylic nails flipping the bird, everyone starting SCREAMING. Charli and her three piece band wore sassy black a-line dresses. Charli’s dress including a white fur trim on the collar and heart shaped pockets. She wore little cat eye sunglasses the entire time. 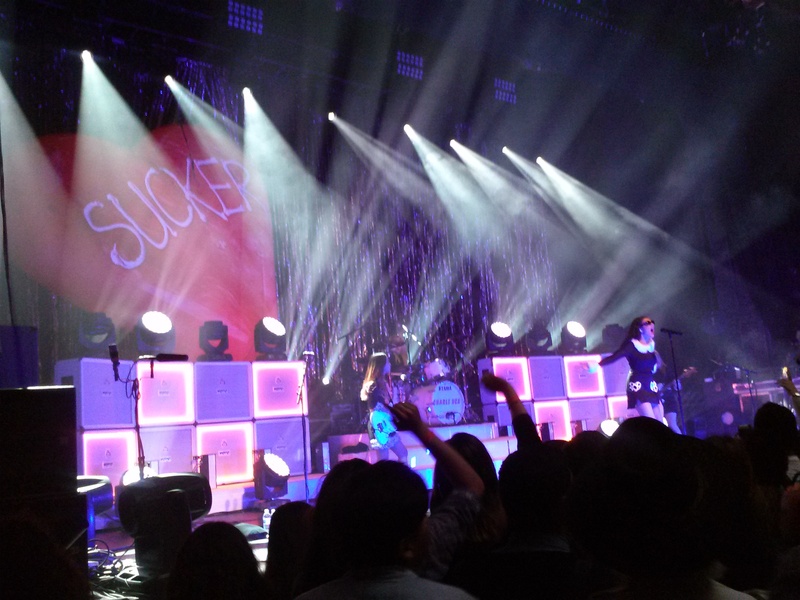 A giant inflatable heart reading the title of her newest album “SUCKER” loomed above stacks of illuminated Orange amps. During “Break the Rules,” one teen was so ecstatic that he broke the rules and jumped onstage, dancing wildly. The British 22-year-old had great stage presence. Her gimmicks were entertaining, like the big inflatable guitar she pretended to play during “Breaking Up.” There wasn’t a lot of coordinated dance moves like at other pop concerts, but Charli’s dancing made you smile. There were lots of hip swivels, jumping, jabbing middle fingers in the air and pouting. For those that are not used to seeing pop acts perform, the fact that Charli’s live tracks were mixed with a backtrack was off putting. It seemed like the engineer with a computer and mixer set up stage left was the one probably mixing their live show with a back track. Some of her more punk songs like the new sludgey “Mow That Lawn” sounded more “live” than pop songs like “I Love It” or “Fancy,” because they used just the guitar, bass and drum kit instrumentation. The result was a set with a polished pop sound that lacked some of the magic of a live performance. PreviousWin tickets to the Delta Saints!